Dark Chocolate Chocolate Chip Cookie was another cookie that I got from Levain Bakery besides Chocolate Chip Walnut Cookie. The surface was smoother and shinier than Chocolate Chip Walnut Cookie, and it looked like a brownie. This cookie seemed to have risen even taller than Chocolate Chip Walnut Cookie. The top was as light and flaky as brownies, while the bottoms was as crispy as Chocolate Chip Walnut Cookie. 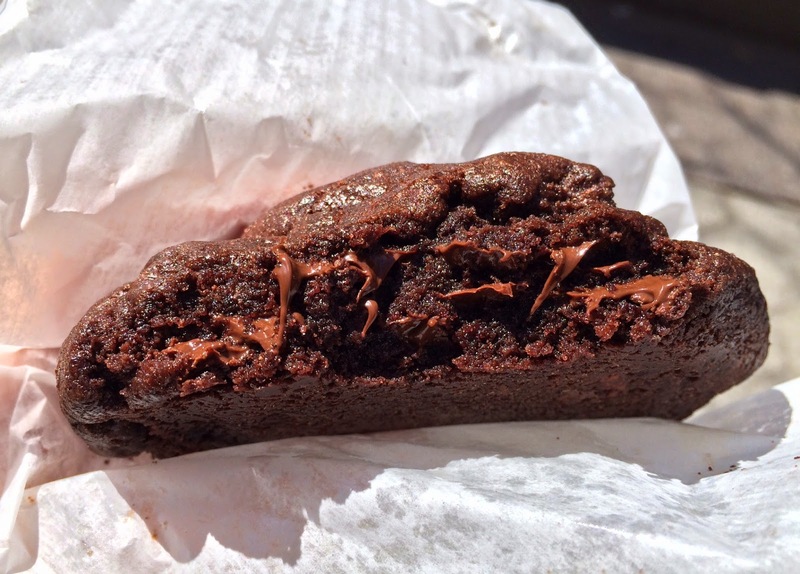 The inside was rich, moist, and very thick dark chocolate dough with melted chocolate chips. I could see how dark the dough was as chocolate chips looked very bright. Though it'd dark chocolate, there're so many chocolate chips so that it's not bitter but sweet. 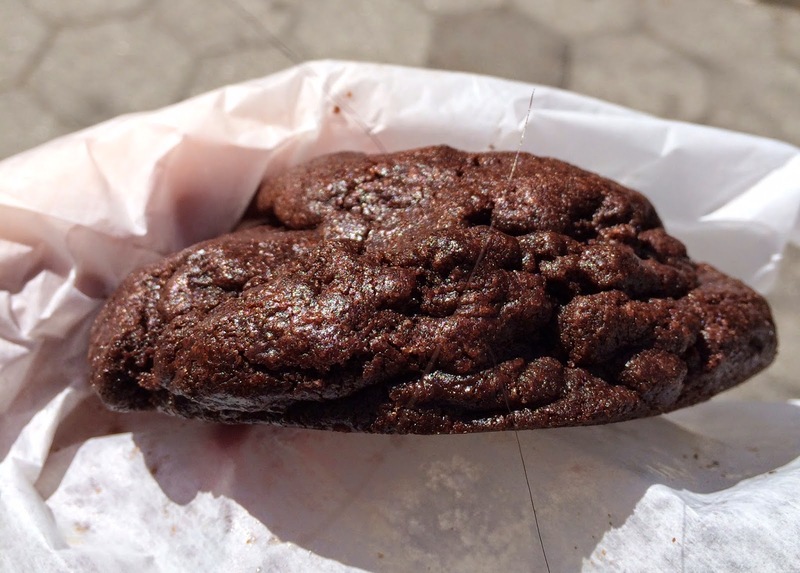 To me, it's a very rich cookie and closer to brownie for the mushy texture inside, and the texture was really dense as if they had lightly baked a ball of melted chocolate. 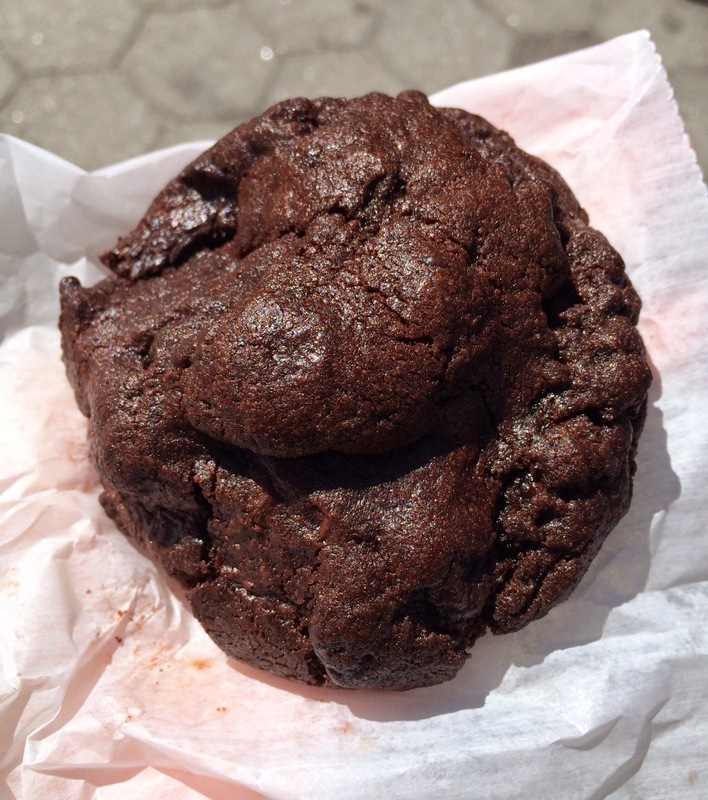 And needless to say, this cookie was also oily. When it's cold, the surface was crunchy and I could hear the sound, and the bitter taste came out more intensely, and I prefer the flavor when it's warm. Other cookies bought over the counter, not from racks in supermarkets.